The days of me dreaming that I’ll be the next Gary Moore or Rory Gallagher are long gone. But that doesn’t mean that I don’t get enormous pleasure from what I can do on a guitar nor from believing that I can be better. Indeed this is why I have been learning to play guitar with Gigajam. I had an acoustic guitar as a teenager but put neither the effort nor the structure into practice sessions and so it never really got anywhere – other than as a regret in later life. A few years ago, a friend convinced me that he could teach me to play the guitar and so I decided to give it another go. He taught me enough to get started and then moved away. So I then started looking for other sources of support. Going to a tutor for a half hour session once a week didn’t really cut it – partly because I didn’t know what I really wanted to play (that was within my reach). The internet was better and I worked my way through Justin Sandercoe’s (www.justinguitar.com) beginners course. 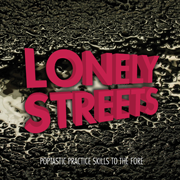 This was a good mix of skills, structure and appropriate songs. Towards the end of that programme, I discovered Gigajam (www.gigajmonline.com) and am now learning to play guitar with Gigajam online as a Lifetime Member. Grades 1 & 2 were straightforward by this time, but Grade 3 was a good match with the higher levels of the justinguitar.com course. I found that there was a big benefit in being taught many of the same skills and techniques in two slightly different ways beneficial. 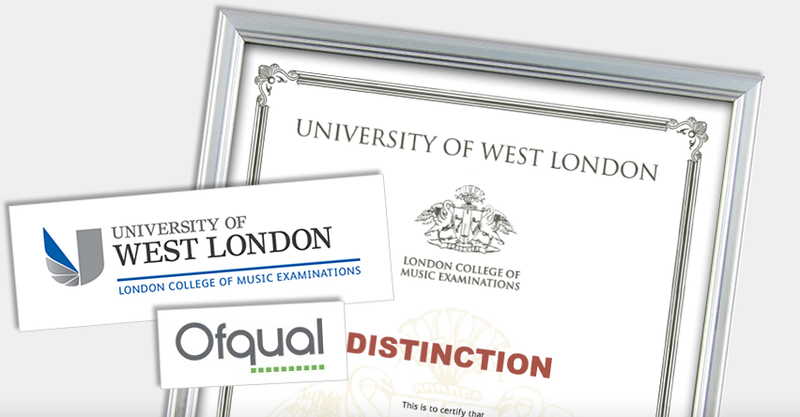 My Grade 3 certificate has pride of place on the wall in my study – it is an actual music qualification and a real sign of achievement. I was very pleased when I completed that course – but daunted by what was going to be required in Grade 4! So, what do I get out of Gigajam? First and foremost, a structure or a roadmap. When I get my Grade 4, I will be very happy – to have the qualification but more importantly to have a set of skills that I can see will let me play more songs. I view the lessons and exercises as a measure of progress. Above all, the feedback provided is invaluable – both encouragement and (especially) criticism. Combined with the ability to resubmit exercises and interact with the tutor. While I am learning to play the guitar with Gigajam, I can see the progress I am making. Every exercise completed is one less to do. At the minute, I am probably focusing on the Gigajam exercises. I am practising almost every day but my focus is on the skill needed to complete the next set of exercises. I expect that when I complete Grade 4, I’ll want a break – if only, to use my new skills on some new songs. What I really ought to do is find some other musicians and play with them but we now split our time between the UK and Spain so it is tricky to commit the time required. Brian Greene, CEO of Gigajam said ” Dave has been very generous in taking time to share his story with us. He is a Lifetime Member of Gigajam and since he shared this story with us he is about to be awarded his Grade 4 Guitar in Music Performance from the University of West London. Dave completed all 94 exercises in debut to grade 3 and received a distinction level. He is just about to complete his review of the 78 exercises in grade 4. 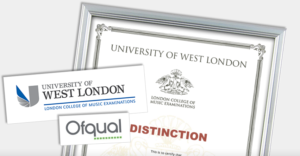 Dave has used our Youtube video recording and marking facility, so Gigajam tutors watch his video via his e-Portfolio on gigajamonline, provide a feedback and a score based on UWL marking criteria. If you have enjoyed reading Dave’s story, and are interested in learning to play the guitar with Gigajam then please do get in touch. Always wanted to go to music school? Now you can! Welcome to a Music School where you learn to play guitar, bass, keyboard and drums all online. 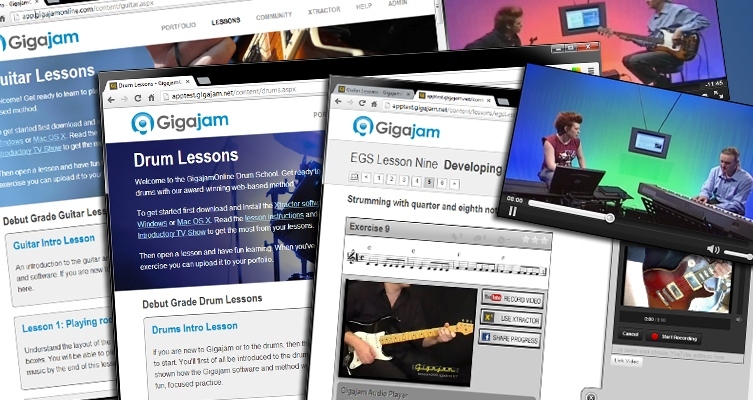 Gigajam online is packed with: TV Shows, Videos, Lessons and Play along exercises. You can learn online, in your own place, in your own time. So, if you’ve always wanted to go to music school – now you can. Choose your instruments and try your free lessons. The Highland Council have been using Gigajam since 2005. It has been a great success for the authority and given that it is a project that will soon enter its 10th successive year we asked them if they would tell us their story. Instrumental Tutors Mike Simpson and Martin Oparka have kindly provided their thoughts as they have run the project since its inception, under the leadership of Highland Council’s Music Development Officer, Norman Bolton. “We started out in 2005 and are now in our eighth very successful musical year. 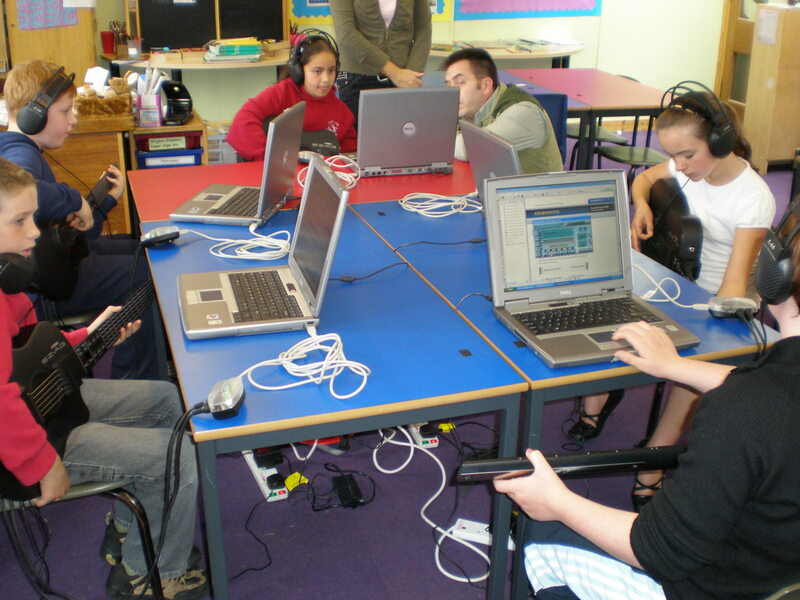 We use Gigajam across seventy six primary schools within our local authority. It is a large rural authority and we were looking for solutions that enabled greater access to musical instrument tuition. 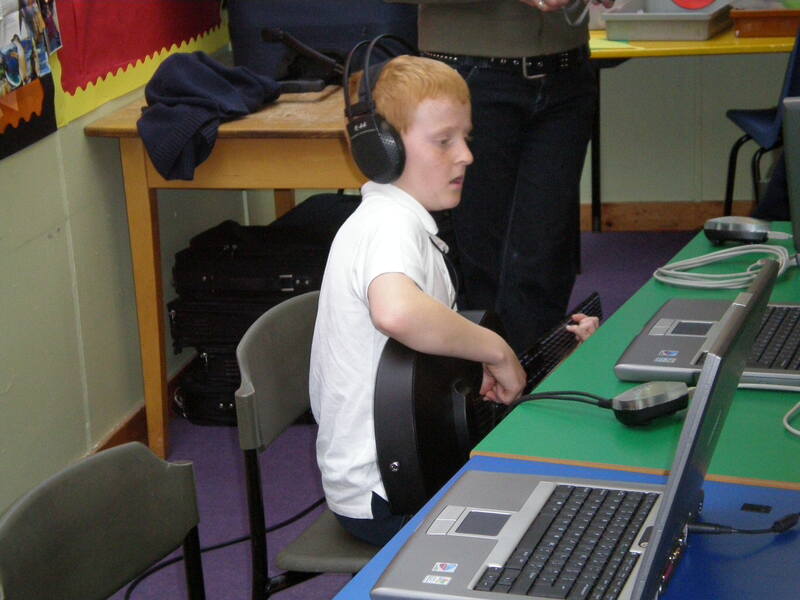 Working with Primary 7 pupils, we deliver 8 weeks of Rock music tuition to each school which previously had no prior provision in this style, thus making Gigajam a valued and appreciated tool for schools and pupils. 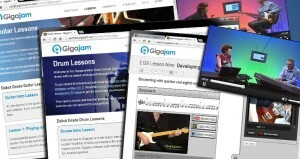 The combination of music and IT makes Gigajam an attractive project for pupils and teachers. Funding (Youth Music Initiative) is provided to The Highland Council via an annual bid process overseen by Creative Scotland on behalf of the Scottish Government. 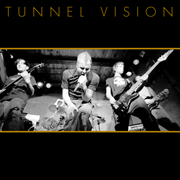 “Gigajam was chosen to fill the void of Rock style based music tuition in Highlands. We chose to concentrate our program on the most popular instruments, Guitar and Drums, as a way of rhythmic advancement. Rhythm can be described as the essence of movement in music. The Guitar and Drums are a great foundation to build these qualities with in this popular style of music. Pupils at the stages taught (upper Primary) will already have some experience of rhythm & pitch through Kodaly vocal skills sessions and an understanding of some traditional music before they encounter Gigajam. The guitar and drum kit skills taught also provide a good foundation for aspect of these instruments they will encounter in most secondary Music Departments. 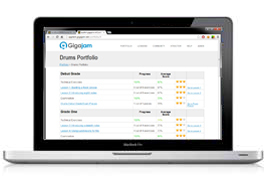 “We work in different ways to deliver Gigajam sessions and lessons. The computer generated lessons are always the fundamental base of our work. We love the aspect and design of the program which allows pupils to work independently with little or no peer pressure. We also find it beneficial in some cases to let pupils work in pairs: e.g. we may find we have pupils with less confidence in approaching music, or finding difficulty in a lesson or simply having an off day. We would encourage a partner (study buddy) to boost confidence and reduce stress. We find that works particularly well and it creates a great opportunity to promote team work and relationship building in the class environment. We are extremely proud to say we have access to every primary 7 and 6/7 composite classes in the schools involved with this project. This includes many children with additional support needs. We believe that participating in music creativity, benefits everyone involved. We concentrate on delivering our tuition in schools and classroom environments. However, we have occasionally delivered Gigajam demonstrations for adults/teachers, and students in higher education. We find our sessions enrich everyone’s education (including students who are already studying under individual or private tutors). I would also very much include our lessons as part transitional too. Former pupils have gone onto further education and are very keen guitarists or drummers thanks to the opportunities and experiences they have had with our classroom visits. ‘Conventional’ music tuition on many orchestral/band instruments and bagpipes is provided by The Highland Council’s Instrumental Tuition Service. Music is an integral part of the Scottish curriculum and covers all aspects of A Curriculum for Excellence. This also applies to the work covered by Gigajam sessions. “Each school we visit have been supplied by the Highland council with a Yamaha digital Guitar and Drum kit, along with a copy of the Gigajam program. This way the pupils can continue to build their musical skills between our visits when time allows. Each year we collect evidence from pupils and teachers conveying messages of gratitude for the fantastic opportunity afforded to them. We can honestly say each one of our schools welcomes us every year. Our pupils benefit greatly from the tuition we are able to provide. For us, it’s the most satisfying experience to have pupils and former pupils express themselves musically, playing in bands and / or producing their own material. It’s all about awakening young minds to creativity, helping to create a musical venture without limits, and giving them an outlet regardless of what level they are at. And most importantly, to try the instruments that they might otherwise have missed out on. We will continue and extend our Gigajam offer to as wide an audience as possible, for as long as possible. 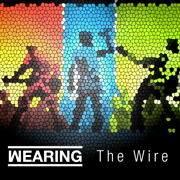 The current agreement runs until April 2016. We will carry on extending musical skills in individuals, and to continue building on our excellent relationship with our school network. Most of all we will continue producing happy and creative musicians. Gigajam Keyboard Debut Grade iBook now available! We are pleased to announce our first development specifically for i-Pad and mobile. The i-Book is for the Keyboard Debut Grade which contains the first two lessons, from the award winning Essential Keyboard Skills Course, together with the Debut Grade Exam Pieces. 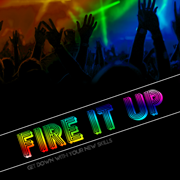 As you would expect from Gigajam it is rich in multimedia containing TV shows, ‘How-to videos, play along backing tracks and full screen musical notation for each exercise,. We would really appreciate your feedback, so have made the book freely available freely so please try and let us know your thoughts. 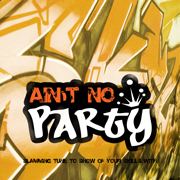 Download from itunes. Brian Greene was a guest presenter for CASIO Music Class at the British Education Teaching with Technology (BETT) show last week at Olympia, London. Brian was demonstrating Gigajam with CASIO’s new range of keyboards which are ideal for schools. The keyboards on show included the CASIO CTK3000, which has 61 touch sensitive keys, GM soundset, great sounds, plug and play USB Connectivity, built in speakers and audio out socket, as well as the incredibly useful audio in, which allows sound from PC’s to be mixed into the keyboard – this means you can mix sound from the video and narration contained in Gigajam lessons and monitor through the keyboard! The CTK3000 is priced for schools as well at just £99, so provides huge benefits over controller keyboards. We are developing our own Online Audio Player, that will allow students to practise Gigajam exercises along with mp3’s, directly from our Online Music Schools. 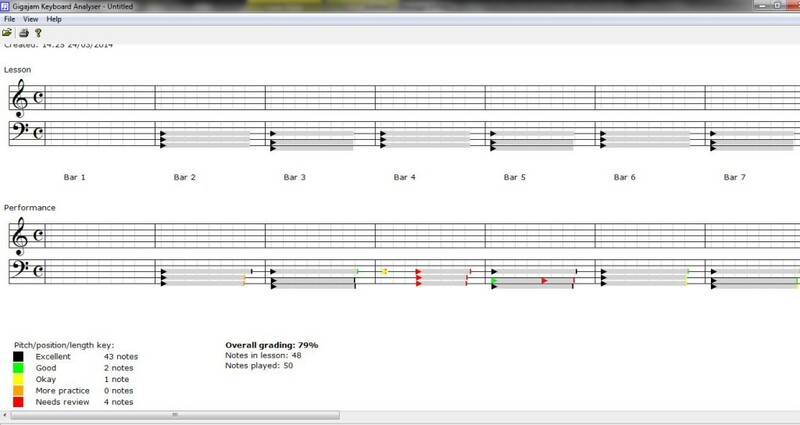 The Online Audio Player will be in addition to our existing MIDI play along/recording and analysis software (GigajamXtractor/GigajamAnalyser). As the audio player will be online, there will be no downloading, nor installation. It will be ideal for mobile users, as well as those who do not wish to use MIDI, or connect an instrument to their computer or mobile device. Debut Grade (end of lesson02) Grade One (end of lesson04) Grade Two (end of lesson07) Grade Three ( end of lesson10). There are five evolving tunes at each grade which you can try. The Gigajam Audio Player will be fully available across both our Schools service at http://gigajamvle.com and our Consumer service at http://gigajamonline.com by the end of January 2012. 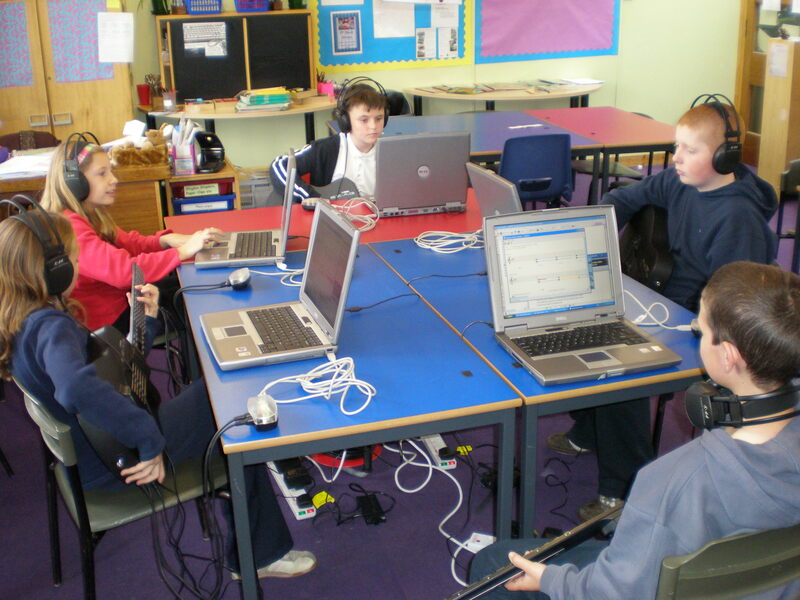 Using MIDI in schools means near silent study in classes. Essential for managing music making practical and possible in the classroom. Most schools have plenty of MIDI keyboard instruments, but most have fewer for guitars, basses and drums. 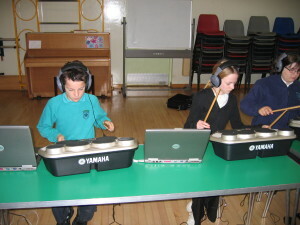 A big benefit will be for schools who wish to use Gigajam, but want to use their existing instruments, rather than MIDI. In conjunction with silent classroom monitoring systems like Jam Hubs, students will be able to use Gigajam lessons with standard guitars, basses and drum kits, supporting the opportunity for more instrumental tuition in the classroom (National Music Plan). It is widely recognised that learning to play an instrument has huge musical and educational benefits for students, although providing every child with the opportunity to do so remains one of the greatest challenges in music education. There is much that is more than good in music education in the UK, but Ofsted’s findings included concerns around; assessment, progress and progression, quality, duration of Study, KS4 and under use of ICT. We have mapped Gigajam’s main benefits and features against those areas in a short online which can be viewed online. Gigajam would like all children to have the chance to learn to play a musical instrument and we have a licensing model and special deals that will make Gigajam affordable. Gigajam is just £1 per pupil per annum, but see what other special deals are available. For more information, or if you have any questions visit our website or give us a call on 01494 534880. 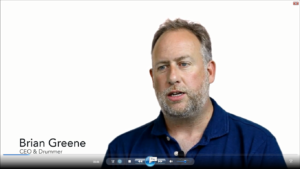 You can also email any questions directly to Brian Greene. Gigajam’s Music Industry partner scheme continues to grow with over 75 Gigajam Partners signed up, the latest of which is Sessions Music in the USA. Sessions Music, is a brand new music school and has big plans for expanding across the USA, from it’s base in Houston. 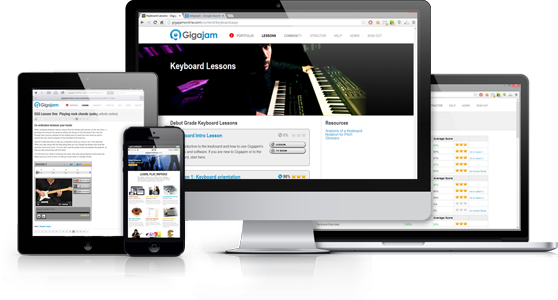 Sessions have chosen Gigajam as their online curriculum to support in class and at home practice for their students and we wish them well. Gigajam’s Partner programme began in September 2010 and now has a wide mix of partners including: Music Stores, Music Teachers and Music Schools. Partners are predominantly from the UK, but latest recruits come from Australia, India and USA. Special Offers for Primary & Secondary Schools – Register NOW! Gigajam have two special offers to help schools provide more opportunities for children to learn a musical instrument at school and at home. There are only 100 unlimited users education licences available on these special deals, so register now so you don’t miss out. 50 Primary school licences are available below our minimum charge at just £100 per school per annum. 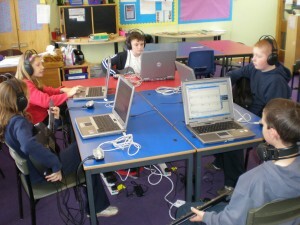 The licence allows for unlimited users at school and at home via http://gigajamvle.com. Gigajam’s standard charge is £1 per pupil, per annum, so it is easy to calculate your schools saving, which is guaranteed to be at least £50! We have a further 50 Secondary licences available where we will provide a two year licence for the price of one and a four year licence for the price of two; making Gigajam just £0.50 per pupil per annum. This offer is available to any school that registers their interest during March. Simply contact us here and we will send you a set of FREE Gigajam&Yamaha posters for your classroom. Alternatively, call, or email us, to discuss your thoughts and ideas and receive expert advice. Existing customers can contact Brian to negotiate discounts on their licence renewal.